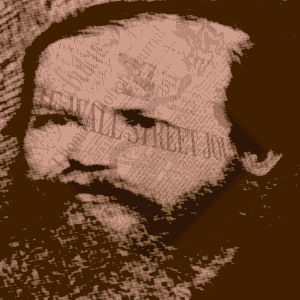 There was finally a title worthy of the greatest chessmaster on the planet in 1886. The World Chess Championship was a reality at last. Top players like Wilhelm Steinitz were at the forefront of it's creation. The elite had always been referred to as World Champions going back centuries even with no official championship. Leading players were feted with festivals on their return home from victories over great rivals. Players were often declared as World Champion in such circumstances. Now more and more players were playing the game at a serious level. The standard was rising all the time and communications and transport were also improving rapidly. The world was ready for this. Only 13 men held the World Championship between 1886 and the temporary split in 1993. Tell everyone who you think is the greatest player. Wilhelm Steinitz (May 17, 1836 - August 12, 1900), a Bohemian master (now Czech Republic) was the first official World Champion (1886 - 94). He took the unofficial title from Adolf Anderssen in 1866. He won the first official World Championship against Johannes Zukertort in 1886 and lost it to Emanuel Lasker in 1894 never regaining it. Over his 28 years at the top he used two completely different systems. He initially played the popular all-out attacking style. Later he patented the completely new positional style. It was practically bullet-proof against the traditional romantic style. This new style was denounced as a negative, cowardly style of play. But Steinitz showed it could be used to launch stunning attacking combinations. In the end his ideas won out and were adopted by all leading players. Steinitz was the first positional strategist. Emanuel Lasker (December 24, 1868 - January 11, 1941) of Germany took over as World Chess Champion from Steinitz. Lasker is widely regarded as one of the top five masters of all time. Lasker like most of the great champions was ahead of his time. His playing style allowed him more options than his rivals. Most players stuck rigidly to the conventional wisdom of the time with respect to openings. But Lasker questioned these opening lines and showed that his variations could beat them. His reign as champion was similar to that of Steinitz if you count Steinitz's unofficial years. Lasker's time at the top was finally brought to an end in 1921 by Capablanca. Jose Raul Capablanca (November 19, 1888 - March 8, 1942) was the great Cuban chess machine who was World Chess Champion from 1921 to 1927. This master from Havana was a revered endgame magician. 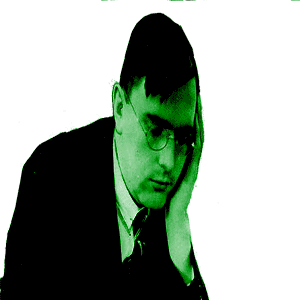 He lost the world title in a shock defeat to Alexander Alekhine in 1927. A rematch with Alekhine proved elusive and Capablanca did not get the chance to take it back. After his death Alekhine said of him: Capablanca was snatched from the chess world much too soon. With his death, we have lost a very great chess genius whose like we shall never see again. Alexander Alekhine (October 31, 1892 - March 24, 1946) was Russia's (then the Soviet Union) first World Champion. In the 20s he enjoyed phenomenal success. In 1927 he became champion after beating Capablanca. Apart from one spell between '35 and '37 he held the championship for nearly 20 years. Alekhine is respected as a master of all phases of chess. His games are filled with wonderful attacking play. He had an extraordinary ability to generate deadly attacks from positions that held no apparent potential. He also contributed to many chess opening lines, giving us for example Alekhine's Defense. Due to the outbreak of World War II, chess like many other things was put on hold. Alekhine did not have to defend his title after '37 and held his title until his death in 1946. Max Euwe (May 20, 1901 - November 26, 1981) was a Dutch GM who became the fifth World Chess Champion when he defeated Alexander Alekhine in 1935. He held the title for two years before losing it to the same opponent. Euwe was even tempered and very solid in the openings. He was as strong as any player from the mid 1920s to late 1930s. His success gave chess a high profile in his native Holland. When he had finished as a professional chess player he did not leave the sport. He was President of FIDE from 1970-78. Mikhail Botvinnik (August 17, 1911 - May 5, 1995) was a Russian (then Soviet Union) GM who was World Champion three times. 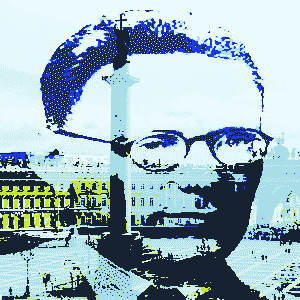 Botvinnik along with Alekhine, and Chigorin before them, helped to put Russian chess on the map. He first became World Champion in 1948 and remained so until 1963 apart from two brief interruptions. This era included a number of defenses and two rematches when he was deposed. Botvinnik also played a major role in the organization of chess. He got heavily involved in the development of computer chess programs. To add to this he ran a chess school. He trained chess players for the future. His famous pupils include World Champions Anatoly Karpov, Garry Kasparov and Vladimir Kramnik. Vasily Smyslov (24 March, 1921 - 27 March, 2010) was another of Russia's great 20th Century GMs. He won the World Championship from Mikhail Botvinnik in 1957 before losing it to the same man a year later. Smyslov was a positional player who prided himself on his ability to consistently find the strongest move in any given position. When the games of all of the great champions were measured for greatest accuracy, Smyslov came out top of the pile. Smyslov is widely regarded as one of the top four or five endgame players of all time. He rarely erred in the mathematical calculations and did indeed play them like a machine. It is amazing that he only spent one year as World Champion. Mikhail Tal (November 9, 1936 - June 28, 1992) was a hugely talented GM from Latvia. He was probably the most famous tactical player of the 20th Century. Tal played breath-taking attacking chess and his daring combinations became the stuff of legend. He used his signature chess riddles to great effect when he bedeviled Mikhail Botvinnik in 1960 on his way to taking the title. He also lost the rematch against Botvinnik a year later and like Smyslov would never recapture it. But he continued to produce many remarkable games for several years afterwards. 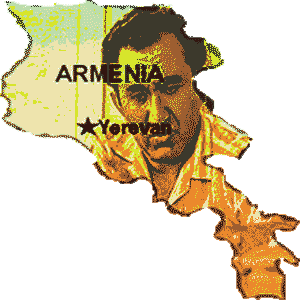 Tigran Petrosian (17 June, 1929 - 13 August, 1984) was a Georgian GM born in a small Armenian village in 1929. The family moved to Georgia when he was two. He overcame a lifelong hearing disability and the loss of his parents at a young age to climb the ranks of world chess. Petrosian was greatly influenced by the ideas of Aron Nimzowitsch and took his themes and concepts of demobilizing his opponents to new levels. Described by some as the greatest defender in chess history, Petrosian became the master of prophylaxis. He took the World Championship from Botvinnik in 1963. His signature became the exchange sacrifice, where he would often give up a rook for a minor piece when it came with some other positional edge. Boris Spassky (born January 30, 1937) is a Russian GM born in Leningrad. He beat Mikhail Botvinnik in a simultaneous exhibition when aged just 10. He became the youngest player ever to become a Soviet master in 1952. Spassky became World Champion in 1969 when he dethroned Tigran Petrosian. His reign lasted just three years. In the Match Of The Century of 1972 he lost the title to Bobby Fischer. His career is filled with inspired middlegame play where he developed highly innovative lines. This was a central plank in his success. Robert J. Fischer (March 9, 1943 - January 17, 2008) was the greatest American GM since Paul Morphy more than a century earlier. He was brash and outspoken and took world chess by storm in the early 70s. He gained notoriety winning a brilliancy against Donald Byrne that became known as the Game of the Century. He won eight out of eight United States Championships. He became the youngest Grandmaster in 1958. He took Boris Spassky's world title in Reykjavik in 1972. Fischer did not defend his title in 1975 because he could not come to agreement with the International Chess Federation FIDE over the conditions for the match. He walked away from chess and never returned to the summit of the game. Anatoly Karpov (born May 23, 1951) is a Russian GM and former World Champion. He was reign lasted from 1975 to 1985. He was FIDE World Champion from 1993 to 1999 when Kasparov broke away from FIDE. Karpov went to Mikhail Botvinnik's school of chess to learn his trade. Early on Botvinnik was not impressed claiming, "The boy does not have a clue about chess, and there's no future at all for him in this profession." He must have worked hard on his game because he became World Champion in 1975 and held the title for 10 years. Garry Kasparov (born 13 April, 1963) is another Russian GM, possibly the greatest ever player. Kasparov was World Champion of one description or another between 1985 and 2000. His peak ELO rating (2851) was a world record until Magnus Carlsen broke it (2882). He had a near unbroken run at #1 for about two decades (the mid-eighties to the mid-naughties). Kasparov broke away from FIDE when at the height of his powers. He set up rival bodies to conduct separate World Championships. The fissure would last for 13 years. Kasparov was the first World Champion to lose a match against a computer opponent. This took place in 1997, the program was Deep Blue. The World Champions brought excitement and drama to chess fans the world over. They even managed to transcend chess on a couple of occasions to become major front page news. Many of these players are no longer with us. Time waits for none of us but their extraordinary struggles against one another sort of makes them seem immortal. When you replay their games back it's almost like the game is live and they're right there playing. They're virtually alive again. 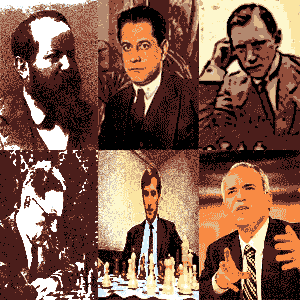 They live on through the chess history that they created. Chess doesn't stop or even slow down when one era ends. The first official champions have left their legacy. The 21st Century has brought with it a whole new generation of talented chess GMs.